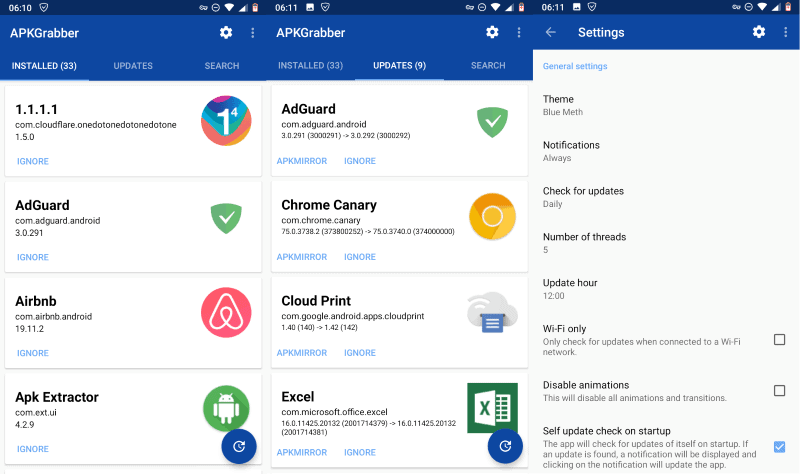 APKGrabber is an application for Google’s Android operating system to update installed applications without using Google Play. The application is a fork of APKUpdater which we reviewed in 2017, twice. APKUpdater development stopped in 2017 and the new app takes over making sure that it is fully compatible with new Android devices and operating system versions.